The 2010 Wii game, Kirbys Epic Yarn is warping to Nintendo 3DS. The game follows Kirby, who has been transformed into yarn and sent to Patch Land, a world made completely out of fabric. He must help Prince Fluff by collecting seven pieces of magic yarn that are used to stitch Patch Land together in order to stop the game's antagonist, Yin Yarn. 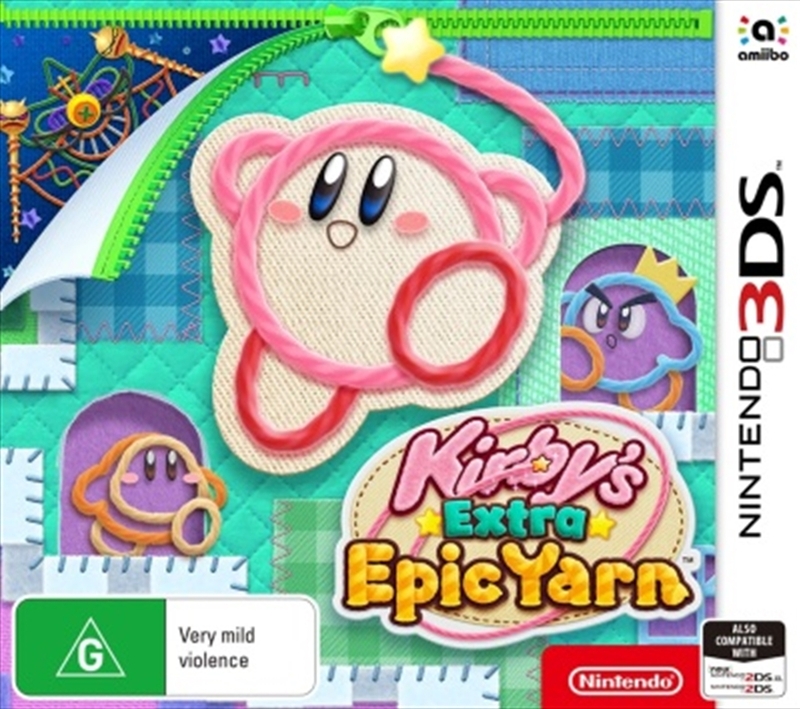 Kirby's Epic Yarn utilizes a unique craft-based visual style; the game's characters and environments consist entirely of yarn, fabric, and other craft materials. Unlike most games in the Kirby series, Kirby is unable to inhale or fly, instead relying on the ability to morph into other objects, such as a parachute, a car, and a submarine, as well as larger objects such as a tank and a steam train.